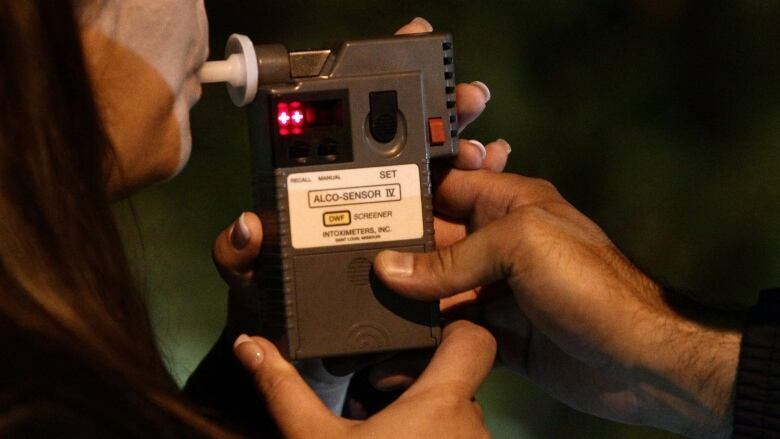 The federal government is putting the brakes on a proposal to lower the legal blood alcohol concentration for drivers to 50 milligrams of alcohol per 100 millilitres of blood. The federal government is easing its foot off the gas pedal on a proposal to lower the legal blood-alcohol limit. 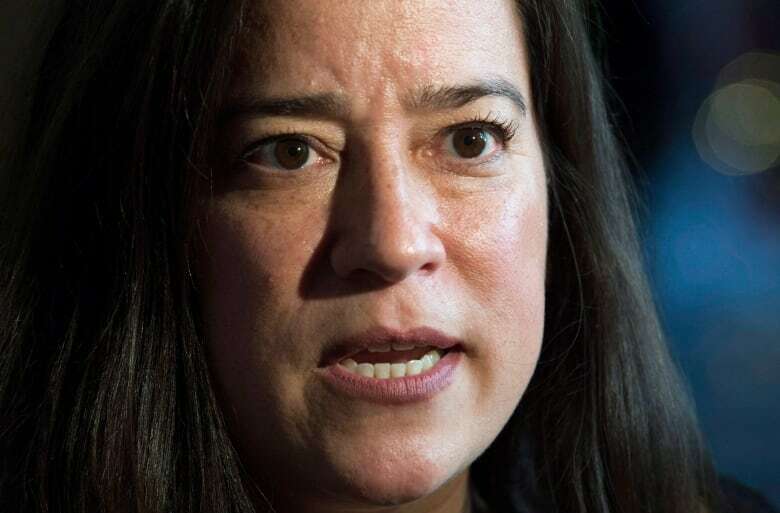 Last spring Justice Minister Jody Wilson-Raybould floated the idea of lowering the criminal limit to 50 milligrams of alcohol per 100 millilitres of blood from 80 milligrams and asked for input from her provincial and territorial counterparts as well as stakeholders, like MADD Canada and the hospitality industry. At the time, she said the change would make it easier to fight drunk driving. But her spokesperson said they're not moving forward. "While we believe that lowering the federal limit would better respond to the danger posed by impaired drivers, by sending a strong message through the criminal law and by changing drivers' behaviour, there are no plans at this stage to introduce legislation to do so," David Taylor said in an email to CBC News. He said they could circle back to the proposal in the future, but are concentrating on Bill C-46, the government's impaired driving bill introduced in tandem with its marijuana legalization legislation. The bill, at the Senate committee stage, would give police officers the ability to demand breath or blood samples from people they suspect are driving under the influence of alcohol or drugs. "We are confident that the new measures proposed in C-46, including mandatory alcohol screening, will be highly effective in changing driver behaviour, thereby keeping the roads safe from the scourge of impaired driving," Taylor said. MADD Canada is disappointed, but "not surprised," said its CEO Andy Murie. He said from the get-go the plan had little support from the provinces, most of whom already have penalties, like licence suspensions, in place for drivers who blow over .05 per cent. The national advocacy group has been pushing for a change to the Criminal Code for almost 20 years. "Point-eight is way too high," said Murie. There were complaints about the proposed change almost as soon as people got a whiff of it. The restaurant industry, especially in Quebec, argued people would stop coming out if they couldn't have one or two drinks with dinner and drive home. But the main concern was a fear changes to the legal limit would burden the justice system, according to a briefing package prepared for Wilson-Raybould last fall. In it, her staff flagged reservations from provinces, territories and stakeholders. Her proposal came as the two levels of government deal with strict timelines and backlogged courts. The briefing note, obtained under the Access to Information Act, advised the minister that even if her government went ahead and changed the legal limit, it wouldn't lead to a spike in criminal charges. "It is unlikely that police will be able to process significantly more criminal impaired driving cases, as they have a finite amount of time per shift to process cases and lay charges," says the heavily redacted memo. It went on to argue that lowering the blood alcohol level could lead to fewer impaired driving charges. "In Ireland lowering of the BAC to 50 mg, in combination with mandatory alcohol screening, has resulted in a decrease of approximately 50 per cent in road fatalities over 11 years and a decrease of approximately 65 per cent in the number of impaired driving charges over the same period," it says. Hubert Sacy, the director of Éduc'alcool, an independent non-profit that promotes moderate consumption in Quebec, said he's pleased to see the government listened to opposition. He said he could support a move to the 50 mg threshold, but first work needs to be done on changing the perception of drunk driving. "In our province 75 per cent of drivers have never even seen a police roadblock. So when you have such low perception of the fear that you'd be caught if you drive under the influence this sanction [wouldn't] change anything," Sacy said. While the government is easing off its proposal, the provinces are moving ahead with their own measures. Later this year, Alberta plans to follow British Columbia and essentially decriminalize drunk driving. In B.C., officers can use their discretion to levy provincial sanctions instead of criminal charges. A 2017 Senate committee looking at the issue of court delays in Canada called out impaired-driving charges for "clogging up court systems." The report applauded the provinces' "practical solution" to dealing with impaired driving charges. Should Ontario overhaul how it charges drunk drivers?